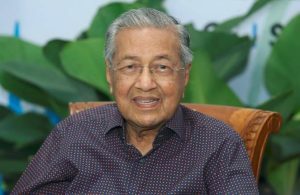 Prime Minister Tun Dr Mahathir Mohamad’s three day visit to Manila, beginning today, can pave the way for Malaysian entrepreneurs to explore new areas of investment in the neighbouring country. Charge d’Affaires of the Malaysian Embassy in the Philippines Rizany Irwan Muhamad Mazlan said the halal industry is among the new potential investment areas for Malaysian entrepreneurs to explore in the Philippines. “As a Muslim nation which has an advanced halal industry, we shall take advantage and venture into the Philippines’ halal industry including in the Islamic finance, logistics, services and other sectors,” he told Malaysian media here. As the Philippines’ close neighbour, Malaysia could help the country in building the capacity of its people in the various sectors including the economy, trade and social, especially in the southern part of the country, to create a holistic development in the region. “Malaysia is Manila’s second biggest trading partner in Asean after Singapore and is the country’s fifth largest source of Foreign Direct Investment (FDI) with US$287.3 million recorded last year or 8.2% of the Philippines’ overall investment,” he said. Currently, several influential Malaysian companies are actively involved in the country’s property, banking, automotive, manufacturing and hospitality sectors. A Malaysian company, Alloy Mtd Group (AlloyMtd) according to him, were awarded contracts valued at RM400 million to develop government administrative centre in Bataan Province and Nueva Ecija through their local unit, MTD Philippines Inc.
“For me, this adds value to the image of our country in the Philippines,” he said. On the positive development in the southern Philippines, following the ratification of Bangsamoro Organic Law and the setting up of Bangsamoro Transition Authority (BTA), Rizwan Irwan said it opened up an avenue for the Malaysian government and its private sector to explore various opportunities. It would also provide a new dimension to the trade relationship between the two neighbours. “In southern Philippines, they look at Malaysia as a ‘role model’ … we shall take this opportunity to increase our strategic relationship with (the southern Philippines), not only as a partner for peace but also as a partner for development,” he said. Rizany Irwan also said the administration of the southern Philippines would be more in order following the establishment of the BTA. This he said, would be the catalyst for vibrant economic ties between Malaysia and the southern Philippines, which should be taken advantage by the Malaysian investors. “When the people in the southern Philippines see the development, they will not turn to subversive elements. The society will get involved with the development in the southern Philippines when there are economic activities, infrastructure development, a good education and health system,” he said. The total trade between Malaysia and the Philippines in 2018 rose 8.7% to RM26.1 billion from RM25.5 billion in 2017.